Law Offices Of Harry M. Rifkin successfully helps injured clients recover just compensation for losses resulting from auto accidents, unsafe products, dangerous drugs, slips and falls and unsafe work conditions. I also represent people with workers compensation and Social Security disability claims. Personal injury claims are filed by victims who suffer physical or psychological injury directly due to another person’s negligence. 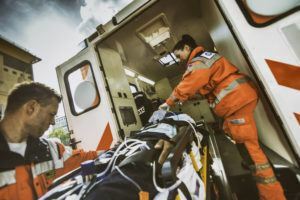 I employ a practical and professional approach to ensure my clients obtain full and fair recovery for their injuries, including damages for their past and future medical bills, lost income, emotional distress, and pain and suffering. I use my extensive civil litigation experience, my knowledge about insurance company tactics and my skills at settlement negotiation to obtain the best possible recovery for my clients. Maryland law sets limits on the amount of time you have to file a personal injury claim. Consult an experienced personal injury attorney as soon as possible so your claim is filed within crucial statutory deadlines. By investigating your claim immediately, I help ensure that valuable evidence remains available and witnesses’ memories remain fresh. Law Offices Of Harry M. Rifkin is conveniently located in Baltimore. In some cases, I can arrange to visit your home or hospital to ensure timely investigation and filing of your claim. If you or a loved one has been injured, call 443-564-4675 or contact me online to schedule a consultation.